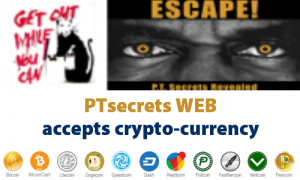 THE FIVE GREATEST INSPIRATIONAL BOOKS OF ALL TIME - SECURE YOUR OWN FREEDOM, PRIVACY & WEALTH the PT Way! Where you are now – whether you are happy, rich, miserable, poor, or somewhere in between – is the result of actions taken previously. Such actions are the result of habitual thinking – as in personal goals, values, and philosophy. Ultimately, you are all that you are, because of what you think. And if you want to change your personal situation, you’ll obviously have to change your actions – and to do that you’ll need to change your thinking. I have found certain books to be a major catalyst for changes in my own thinking – and therefore changes in my actions and consequently my life. So, in the spirit of “New Year’s Resolutions”, I offer the following list of just five “revolutionary” books that have the power to change lives – including yours. However, I must provide a cautionary warning. The following books have the potential to disrupt your existing values, goals, attitudes, and life itself. We list these books in the order of their importance. 1. 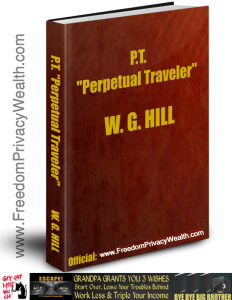 PT: THE PERPETUAL TRAVELLER – by W.G. Hill. This was the one book that gave me hope and a sense of new direction after I lost everything.-What I needed desperately was “hope”. Hope that there was some way out. 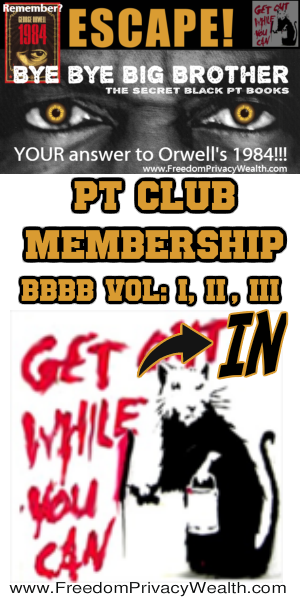 “PT” provided that hope by opening my eyes to possibilities I had never considered “ that one can live a completely (tax) free life, on one’s own terms, and disengage from the yoke of the state. Absolutely essential reading for anyone who wants to break out of the system. Out of print and hard to find though. 2. ATLAS SHRUGGED – This is the blockbuster, by Ayn Rand, that will change forever the way you think! I’m not joking. Atlas Shrugged is a major work. 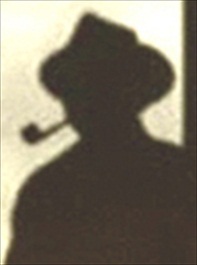 It’s fiction – but intertwined in its suspenseful story is a completely new philosophy of life. If you’ve ever wondered why the world is in such a mess – then you need to read this book. It’s the story of a man who invents the incredible machine, then realizes that the way the world is currently organized, his work will be looted. He decides, instead, to organize a “strike of the mind” – and proceeds to persuade all creative people – of ability, talent, intellect, and integrity, to disappear, and leave to the world to fend for itself. A gripper! If you only read one book – then make it this one. 3. THE FOUNTAINHEAD – Ayn Rand wrote this in 1943, fourteen years earlier than Atlas Shrugged. It’s my favorite book – about the triumph of the individual over the collective. Marvelous! The story of Howard Roark, a young architect, who struggles to maintain his integrity in a world of mediocre fools and evil enemies. Both Atlas Shrugged and The Fountainhead are essential reading for getting “your head straight”. You need a philosophical foundation if you want to pursue the road to freedom – and these two books provide the best foundation possible. 4. HOW I FOUND FREEDOM IN AN UNFREE WORLD – This book, by Harry Browne, forever changed the way I think regards taking action. For much of my life, I have been what you would call a “crusader” – one of those people always on a “mission”. I was deeply involved in politics both as a candidate, organizer, and founder of a political party. I always felt it was somehow the right thing to do, to try and change the world. Harry Browne’s book forced me to rethink this strategy. The main thesis is that there are two types of action – “indirect” and “direct”. As an example of both, consider this: If you want to reduce your taxes you have two options. 1) You can campaign for lower taxes, write letters, lobby politicians etc. This indirect action will take up your time, but there is no guarantee that it will reduce your taxes by one dollar! Or, you could direct your energy into finding ways to practically reduce your own tax – like using offshore strategies. This is DIRECT action – and much more likely to deliver a result. 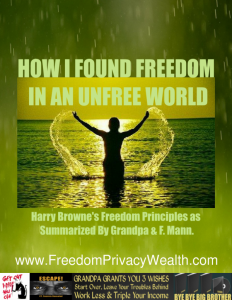 Get this free report: Harry Browne´s Freedom Principles as Summarized By Grandpa and F. Mann. 5. 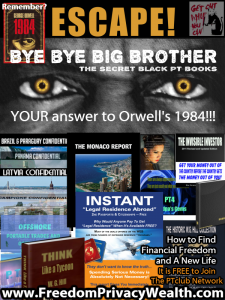 1984 - by George Orwell, is not the sort of book to inspire, but it IS an important book, because it presents the story of a society in the grip of BIG BROTHER, and it does so in a way that is uncannily prescient! Since 9/11, there has been a rush towards increased centralised control, and an attack on individual freedoms. Reading 1984 will give you an insight into the minds of those who seek power over you – an insight all the more amazing because of when this book was written. Orwell’s prophetic work should be read by anyone who values his freedom, and wants to clearly understand the nature of the “beast”! 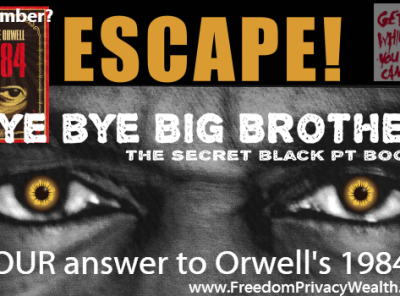 I’d go as far as saying that you MUST read 1984 this year – if you really want to arm yourself against the inane utterances of politicians and the brainwashing of the media. THE END OF OUR ECONOMIC SYSTEM IS COMING –WHERE SHOULD I GO?